Better Late than Never: Random Packs of Kindness! Went back to about 150 posts to see if I posted these yet, and it looks like no, which is just sad. 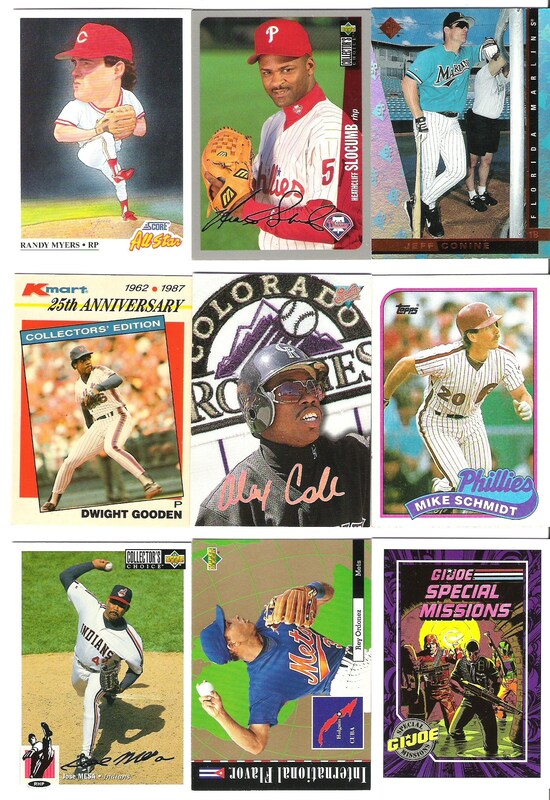 There were some cool cards in my 8 packs from David, who is currently in India* meditating and doing yoga to help realign his blogging focus back to Indians baseball cards (though I hope there will be occasional updates on his writing adventures) and preparing for the big return. Here be a (very) small sampling that you may ‘ooh’ and ‘ahh’ at so I don’t have to say much. Consider it a warmup for March 1st and refresher on his coolness. 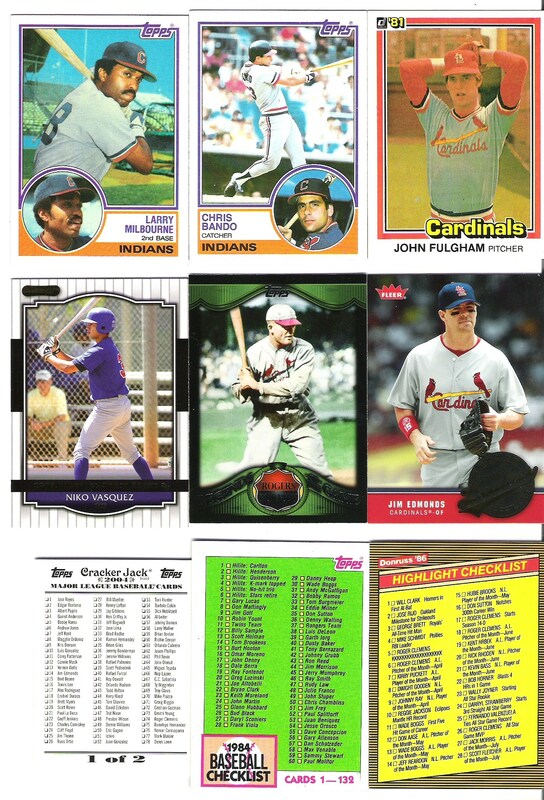 '83 topps! The most perfectly designed set ever! Oh yeah, I said it. The best stuff (that I remembered to bring with me to scan those many moons ago). 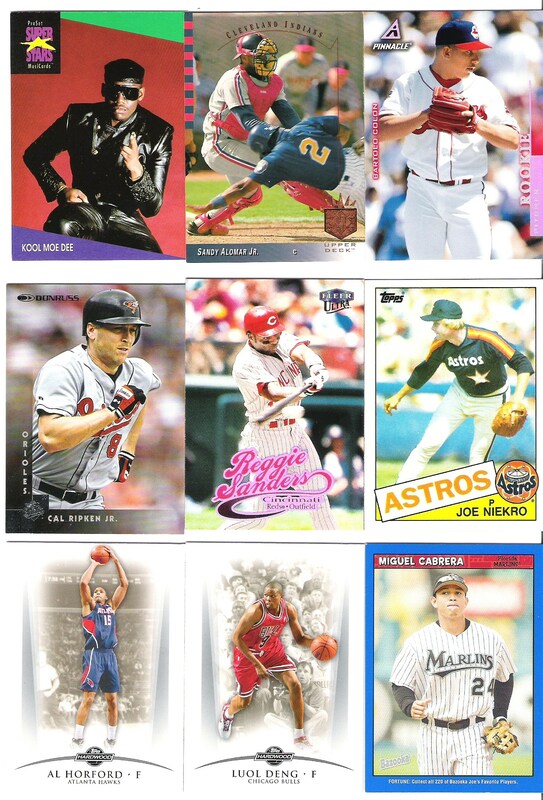 Frank, Willie, Griffey & the Phillies dude, and Bell are keepers. And I forgot to scan the presumably TTM or IP auto of I think it was Pat Mahomes and a gold version of Griffey & Dykstra. I still have almost all of these (the Marlins are with Wicked I think, but otherwise yeah, they’re probably around here somewheres), including the hits, and everything but the keepers can be had if anyone wants them. Click on my blogger profile link on the sidebar and shoot me an email. 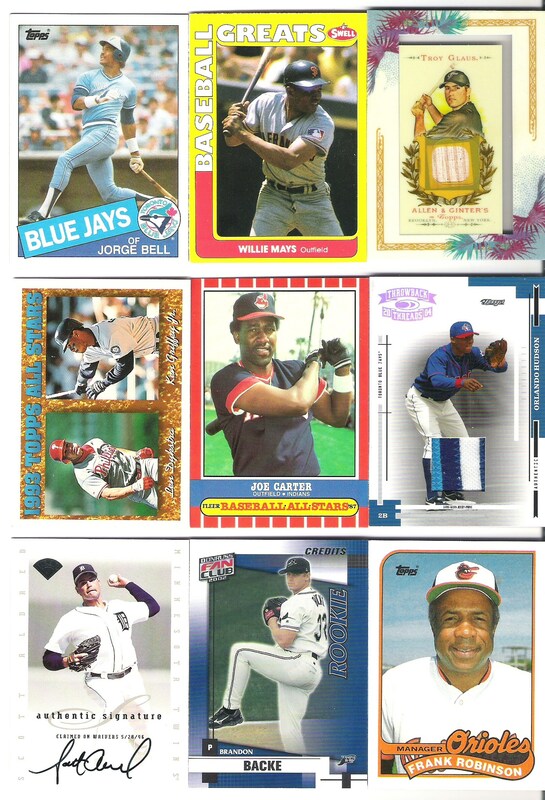 Tagged 1981 Donruss, 1983 topps, Al Horford, Allen & Ginter bat card, Brandon Backe, Cal Ripken Jr., ch-ch-ch-checklists!, cool people, Dude Studio was weird back in the day, Dwight Gooden, Frank Robinson, George Bell, GI Joe, Heathcliff Slocumb, is Jack Mike Schmidt's real middle name?, Joe Carter, Joe Niekro, Jorge Bell, K-Mart 25th Anniversary cards, ken griffey jr, Kool Moe Dee, Luol Deng, Miguel Cabrera, Mike Schmidt, O-Dawg, Orlando Hudson, random packs of kindness, random randomness, Randy Myers got a giant head, Rey Ordonez, Sandy Alomar Jr., sick patch, silver signature, Troy Glaus, Yo Joe!